If you are an Android user then you might be aware of that there are different types of Android Apps or Mods available which you can use to personalize your Android device endlessly but, if you haven’t tried any of them yet and were looking to improve doing more with your Android device then here I have lined up 10 Cool Android Apps or Mods that will enhance the working of your Android smartphone. 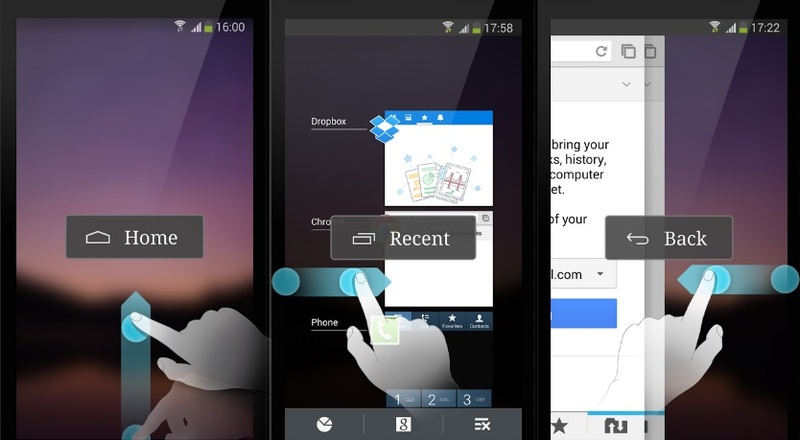 If you were looking to find a way where you can perform different types of action just by swiping on the home screen right to left on your Android smartphone according to your need then All in one Gesture App would be perfect to get the job done. The All in one Gesture app lets you personalize on-screen action and allows you to hide soft keys, and control your device all with using simple gestures which you can personalize according to your need. 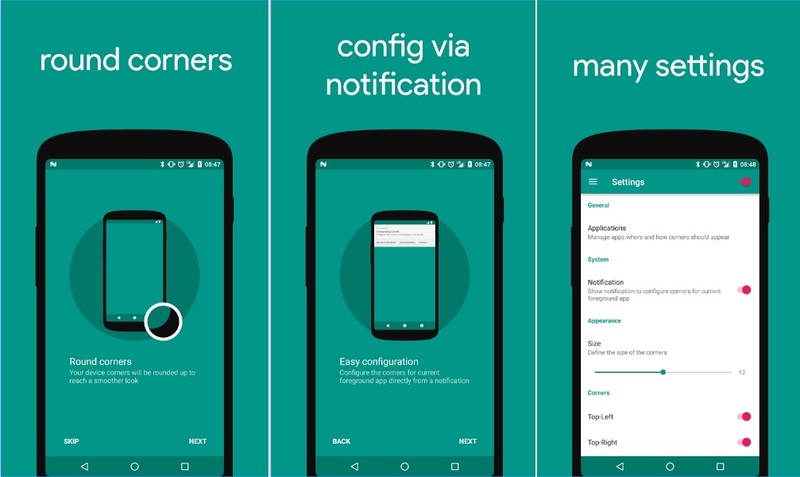 With All in one Gesture app, you can also personalize the Bixby button to launch Google Assistant/Google Now instead of Bixby Assistant. The app is free on Play Store. KeepSafe is a cool app which lets you secure your personal photos and videos by locking them down with PIN protection, fingerprint authentication, and military-grade encryption. The app provides some great features such as locking down your personal photos, syncing photos or videos to encrypted Private Cloud, Safe Send photo sharing and more. KeepSafe gets the job done very well when you are in a tight situation and you need to hide photos, just face down your device and Keepsafe will automatically lock itself immediately, Keepsafe also automatically locks down itself even when you click the home button on your device or minimize the Keepsafe main screen and this is something I like the most about Keepsafe. Keepsafe also doesn’t show up in your recently used apps list! The Keepsafe app is available for free but if you want to use the full features then you will need to buy the app which comes with a monthly, yearly and lifetime payment methods, starting from Rs. 699 to Rs. 10,000 for the lifetime. It feels really bad when someone tries to peep at your phone’s display while you are looking at your private photos or sending private messages. To protect you from such things I have got you a perfect solution for this, The Screen Guard – Privacy Screen app (Free, with in-app purchase of $1.99). The Screen Guard app lets you add different types of filters to your phone’s display also, you can customize them with the color of your choice or use different patterns. You can also set the transparency on the display to your desired level which prevents and makes it hard for other to peep at your phone’s display while you are looking at your private photos and messages. So, just don’t wait now if you don’t want others to peep at your phone’s display, just go and download the app as its free but remember, this app is not available in all the country, or if you want you can download the Screen Filter app, which is also free and pretty similar to the Screen Guard App. If you like and want the Rounded display just like the Mi Mix, S8 and G6 instead of the usual corner display on your smartphone then here is an App called ‘Cornerfly’ to help you get those rounded corners on your own device just like Mi Mix, S8 and G6 smartphones. The app comes free with in-app purchase for full features. The setup is pretty easy after you download and install the app, just open the up the app, give it permissions and you will see rounded corners on your phone. With the Plus version of the app, you can also increase or decrease the size of the rounded edges. There are different ways which you can use to improve the battery and performance of your Android device and one of my favorites is Franco Kernel Manager Updater, which comes with one time price of $3.49), but the sad thing is that it only works on Nexus, Pixel, and OnePlus devices but brings a ton of features. 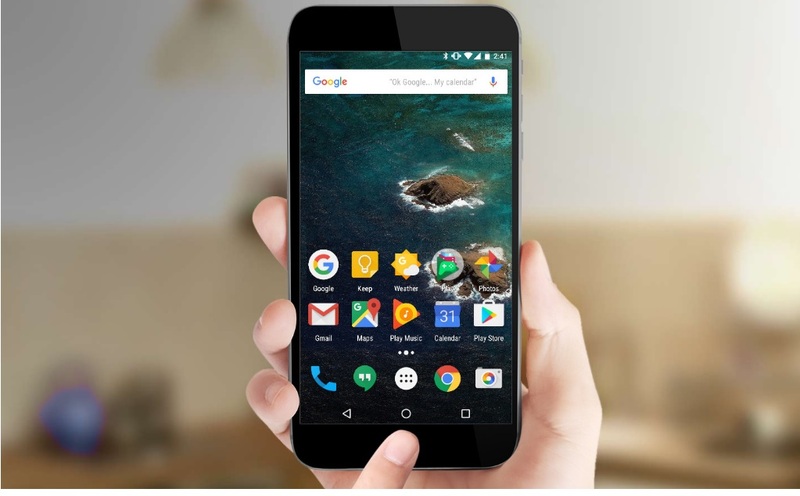 But if you want you can also use another app like Kernel Aduitor, which also lets you overclock or underclock your device’s CPU or GPU and improves performance and battery life. 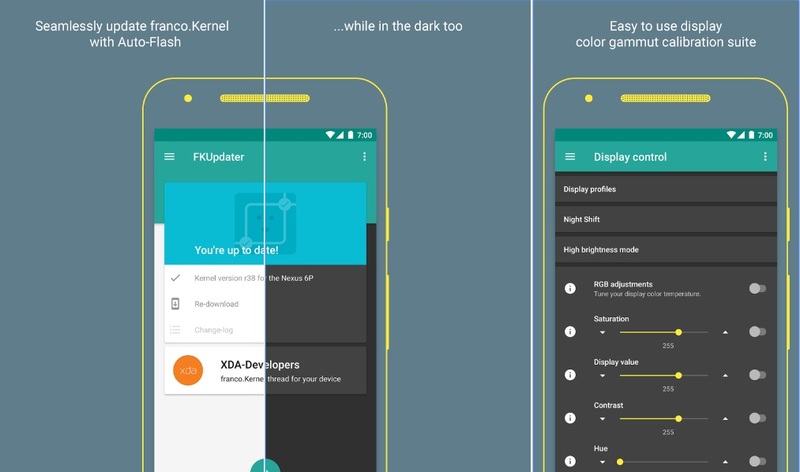 The app uses custom franco kernel on your device, which really helps to improve the battery and the performance of your device and offers great control. You can also choose different performance profiles according to your need from power saving, balance or performance, and the app then sets up the CPU, and GPU to deliver. How about Maximizing the RAM performance of your device, well, you can do this just by using a simple app called ROEHSOFT RAM Expander app, comes with one-time price tag of ($9.99). But to run this you will need a rooted device where it creates a swap file to create a virtual RAM of sorts for your device. You may find its UI outdated but what you have to do that how it looks, but its process is pretty simple though. First, you just need to tap the optimum values button and select your memory card, now the app will show you different optimum RAM values, for multitasking, balanced, gaming etc. Now just choose one of them or set the swap value yourself. Now it will create the swap file for this, just tap on the Swap Active tab. Once you did that you will see the Free RAM at your disposal. This way you can save extra RAM on your device which results in more better performance of your device. Since the app is paid, I will suggest you, to check the compatibility of your smartphone with the app before purchasing. Have you ever thought that the fingerprint sensor on your device can do even more unlike just Locking and Unlocking your phone? If not, you should start thinking right now. 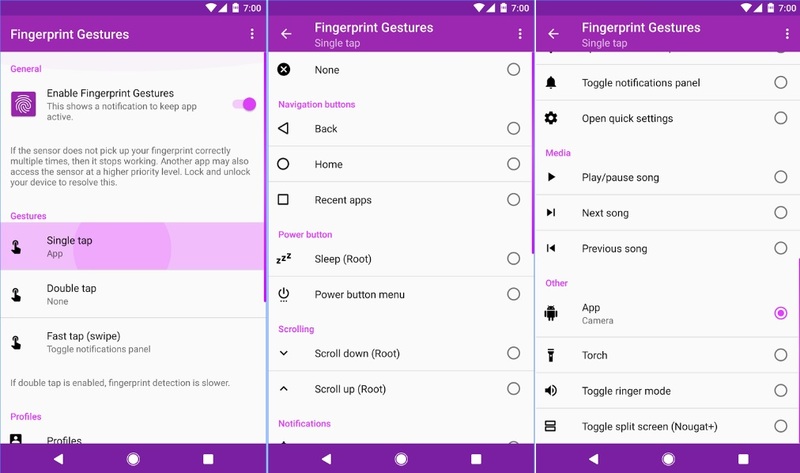 With the Fingerprint Gestures app (free, with in-app purchases), you can add custom actions to the fingerprint sensor. You can use the fingerprint sensor to scroll, open up the navigation center, toggle settings or even launch an app. With the app, you can set the actions for a single tap, double tap or a swipe. But you should remember that the gestures only work with registered fingerprints and more. 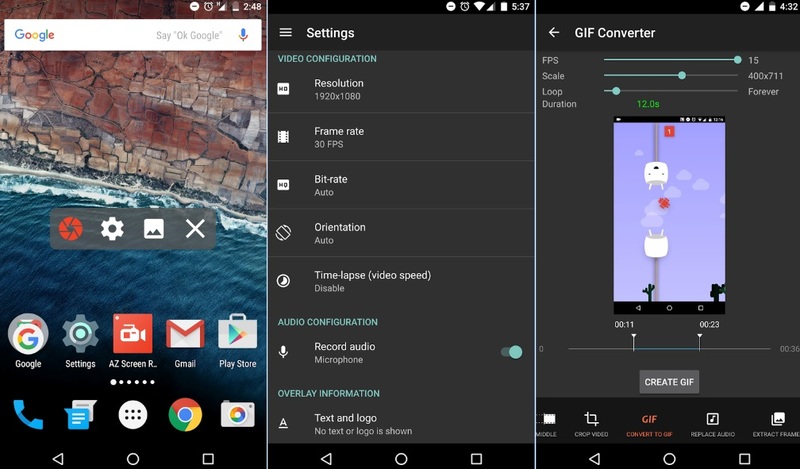 There could be a number of reasons for you to use a screen recorder on your Android device, sometimes screen recording helps you perform any task which requires so many steps or so that if you missed any step you can easily watch it later. 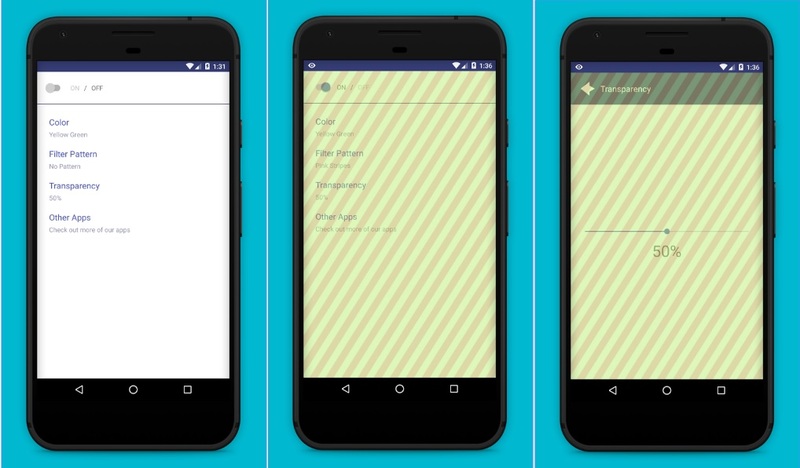 The screen recorder app can help you a lot if you are a Blogger or YouTuber for which you can use the screen recorder to elaborate your Apps and Smartphones-related tutorials in a more better and easy way to your viewers. I personally like the AZ Screen Recorder app which gets the job done very well. It comes Free with Offers in-app purchases. The AZ screen recorder lets you record your screen in HD or Full HD at 30 FPS, I use this for YouTube channel and trust me this app works like a charm. The app is really easy to use and also lets you record your face using your front camera (for Pro Version Only) and audio with or without a mic. You can also Paus and Resume the recording anytime. After recording the screen the app also lets you edit your recording within the app with many great editing features. 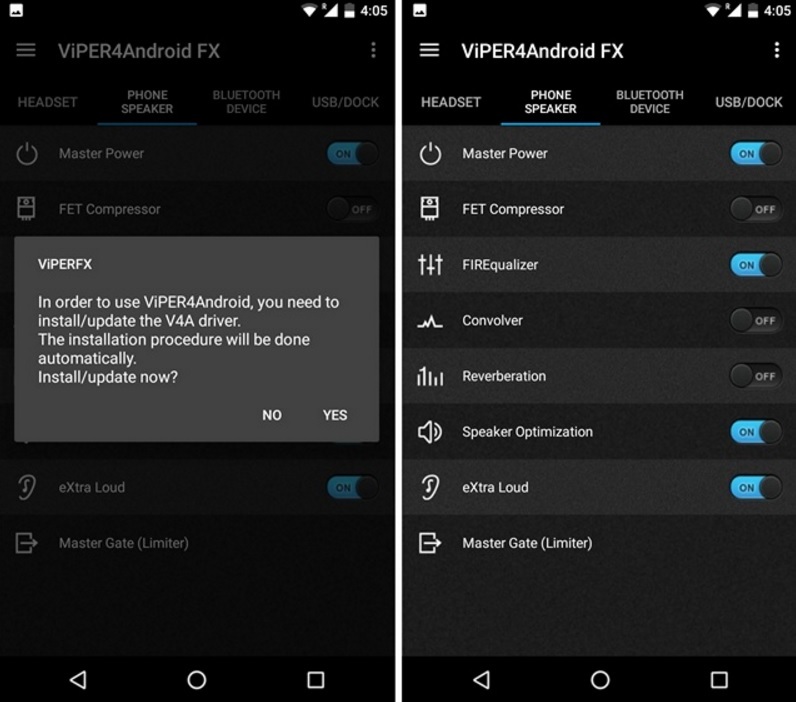 Since you can’t find powerful speakers in every Android smartphone not even in yours yes, you heard me right, but don’t worry, if your smartphone speaker is not as powerful as you have had wished it to be then you can try using Viper4Android for your smartphone. The app is available from XDA, requires root access and really amplifies your device’s speakers. When you first open the app, it prompts you to download its custom sound, driver. Once done, you can enhance the sound quality of the device speakers, headset, Bluetooth speaker or a dock. You can also enable the Master Power. You can also adjust the equalizer or just let the app do the work for you by enabling the Speaker Optimization option which automatically enhanced the sound quality on your smartphone. If you really don’t want to lose your smartphone data when you accidentally delete them from your device, this Android app called the Dumpster app can easily save you from that, it’s just like a Recycle Bin on Windows and the Trash on macOS. Just download and install the app it’s free, after installing just give it the storage permission and now you can delete anything including images, videos, audios, documents, files, apps and even app updates and Dumpster will save it for you. You can enable the auto-clean feature in Dumpster app to automatically delete the data permanently in a week or months. Dumpster can also save your deleted file to cloud but for this, you will need to take the subscription starting at $0.99/month. That’s all we have for now, which one of the above Mods you find most useful. If you know any other cool Android Mods which you have used you can share with us in the comment section down below.